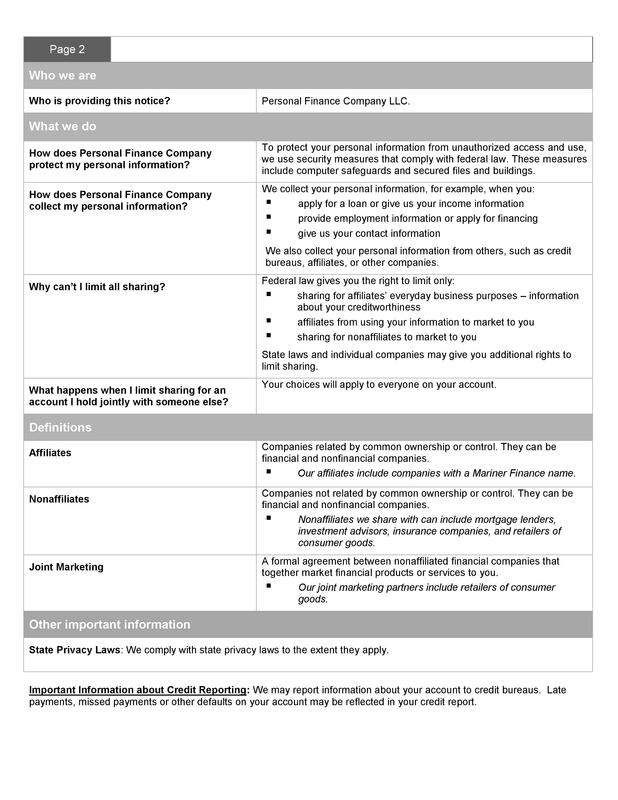 PERSONAL FINANCE COMPANY LLC AND ITS AFFILIATED COMPANIES (COLLECTIVELY, “PERSONAL FINANCE COMPANY” OR “WE”) VALUE THE PROTECTION OF INDIVIDUAL PRIVACY. 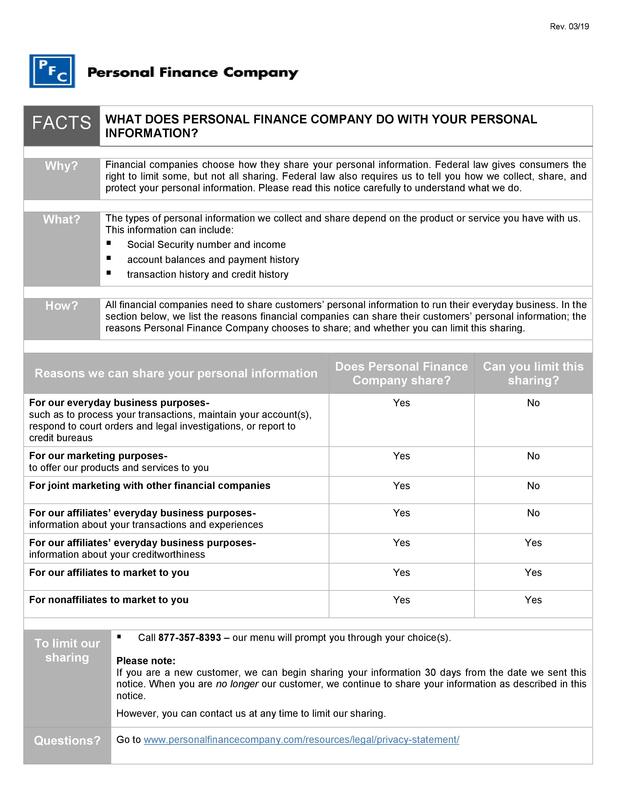 THIS PRIVACY STATEMENT DESCRIBES WHAT INFORMATION MARINER COLLECTS THROUGH ITS WEBSITES, INCLUDING WWW.PERSONALFINANCECOMPANY.COM (COLLECTIVELY, THE “SITE”), HOW IT USES THE INFORMATION AND WITH WHOM IT MAY BE SHARED. THIS PRIVACY STATEMENT APPLIES ONLY TO INFORMATION COLLECTED THROUGH THIS SITE. This Privacy Statement was last revised on December 4, 2018.